…But I will *wipes away tear*. 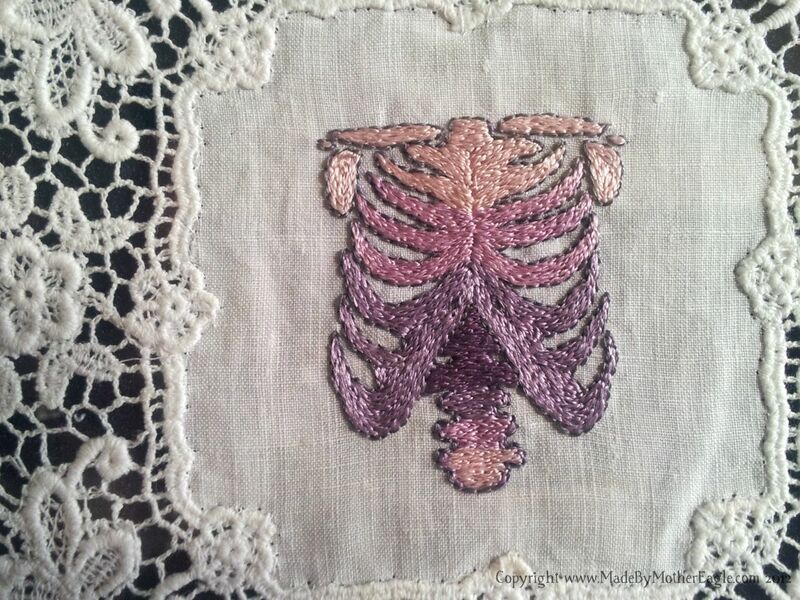 No seriously, there is this weird thing with the rib cages; every time I embroider one it is never a sure thing – I always feel like it might not turn out that great and I have all sorts of bumpy problems, and then lo and behold it turns out great and becomes my best ever. The pay-off from the silk floss being so tricksy. It is so pretty. 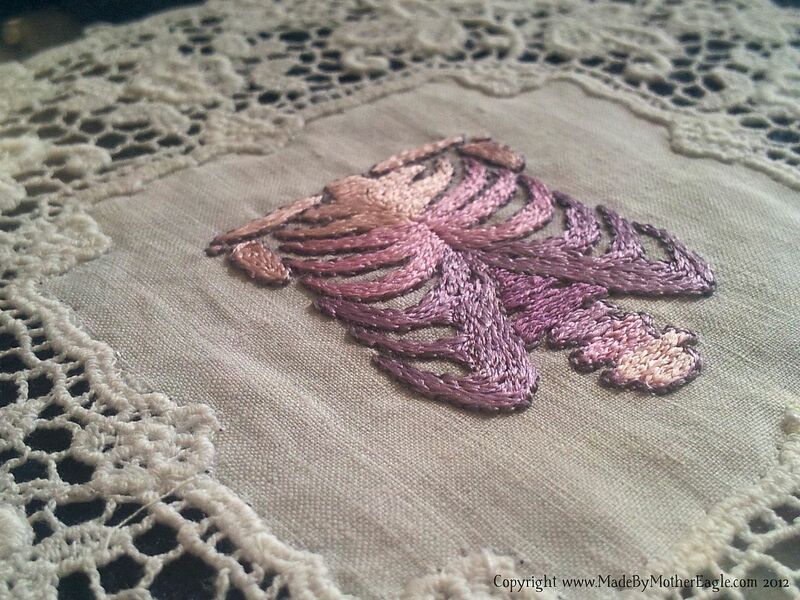 I guess all artists go through anxiety about sending their creations into the world, and with embroidery it is so time consuming and labour intensive by the time you finish it really means something to you. I know this is not just true of embroidered art. 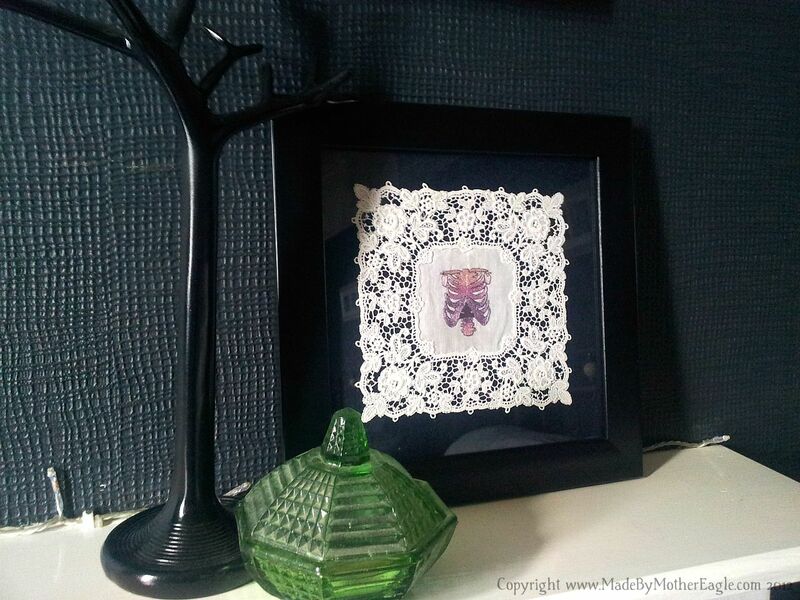 Anyway, my struggles with framing this one finally ended when I realised that backing it with some lovely almost-black blue felt, the beauty of the hand-made lace really didn’t need a mount after all, and in fact it really stands out in the dark shades of the frame. So you can expect this one in the shop at the end of the week.